Ever since hearing about this film several years ago, I have been extremely anxious to see it. Upon noticing it’s appearance on Netflix’s Instant Queue, I immediately added it. Maddie has been gone this week for orientation for a new job, and I knew that this film would not appeal to her at all. In fact, she made it pretty clear she had no interest in seeing this one. So, since I had the house to myself this week (along with a couple of cats and a dog), I was able to sit back, relax and enjoy this wonderful ode to one of cinema’s finest technical artists. 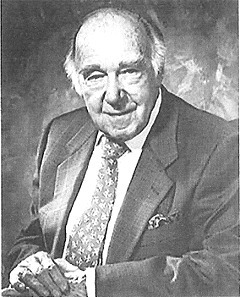 For those of you who don’t know, Jack Cardiff was a leading British cameraman who began as a child actor in the industry in the late 1910s. 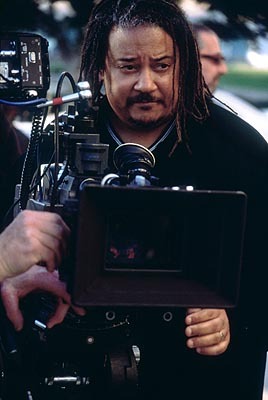 In his teens, he began moving up the ladder in the camera department from camera assistant to camera operator and, ultimately, to a full fledged cinematographer. 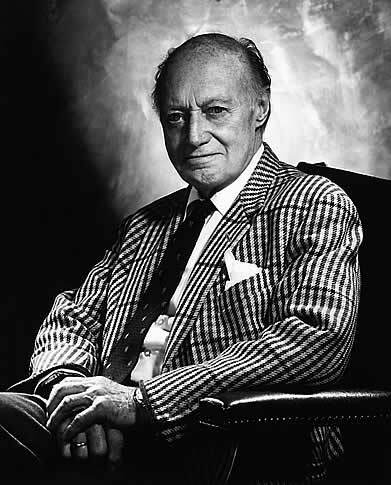 His work with the Archers, Pressburger and Powell, is renowned and his contributions to the field of cinematography, specifically color cinematography, are legendary. My first personal encounter with Cardiff’s work was in my early teens. One of the VHS movies I had recently purchased contained a preview for a re-release of the 1948 film Black Narcissus. I was shocked at the imagery I saw during the preview! The colors were so real, so palpable and brilliant that it made any of the current films that were in theaters at the time look dull in comparison. I knew I had to see this film, but it would be many years later before I got my Blu-ray copy of Black Narcissus in hand. Needless to say, the HD presentation of that film is amazing. Cardiff would win an Oscar for Black Narcissus and go on to receive two more nominations for King Vidor’s War and Peace and Joshua Logan’s Fanny. 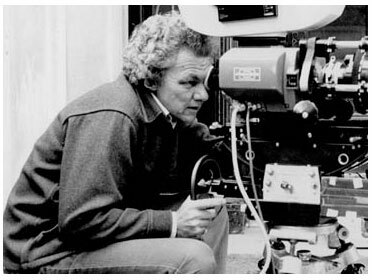 A further nomination would be for directing the film Sons and Lovers, making Cardiff one of the few cinematographers to achieve great success in directing. 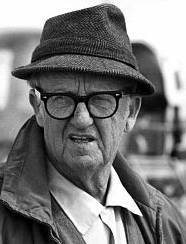 In 2001, Cardiff was the first and, to my knowledge, only cinematographer to date to receive an Honorary Oscar for his contribution to motion pictures. 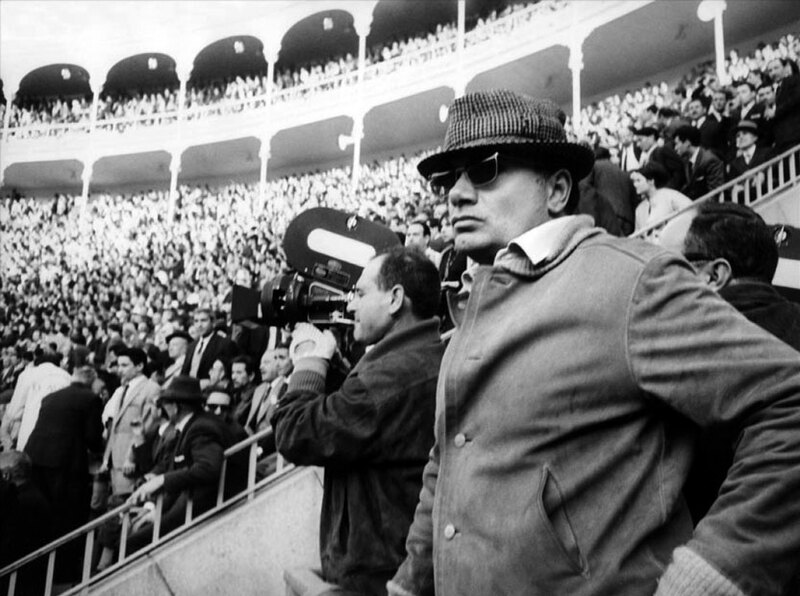 This film is an ode to his life and to his work. It celebrates and recounts his vast history in the film industry, and includes many candid interviews with Cardiff that were filmed before he passed in 2009 at the age of 94. 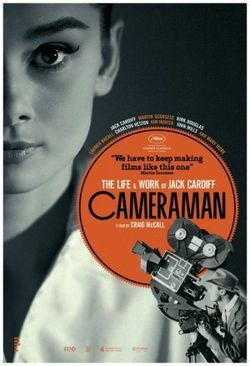 I thought this was a wonderful documentary and a great tip-of-the-hat to a brilliant cinematographer. I could understand how some people might not find this film appealing or entertaining, just out of lack of interest in the subject matter. However, if you are a lover of motion pictures or a working filmmaker, I feel this is a must see. Cardiff’s ability to manipulate light still brings wonder and delight to any viewer of his work. If I can be half the artist and cameraman this gentleman was, I will feel like I achieved my goals in the field of cinematography. 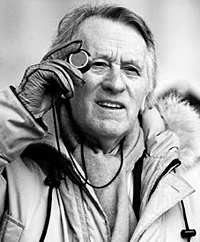 Legendary Swedish cinematographer Gunnar Fischer passed away yesterday at the age of 100. Fischer’s lighting and camera techniques brought to life some of Ingmar Bergman’s most iconic films from the director’s early period. 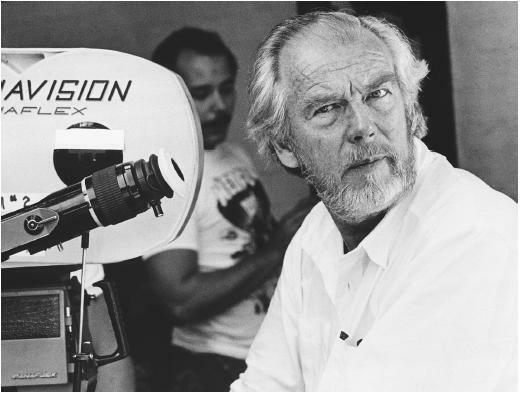 Though not as well known as future collaborator Sven Nykvist, Fischer’s style and visual eye has dazzled cinema-goers for nearly 60 years, though his general recognition remains mostly silent. 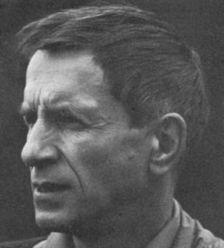 Born in Ljungby Vasternorrlands Lan, Sweden, on November 18, 1910, Fischer originally studied painting at Otte Sköld. Following his education, he enlisted as a chef with the Swedish Navy, before turning to a career in cinema at Svensk Filmindustri. His first film credit was as assistant camera on Smålänningar in 1935, and his first feature as a director of photography came in 1942. 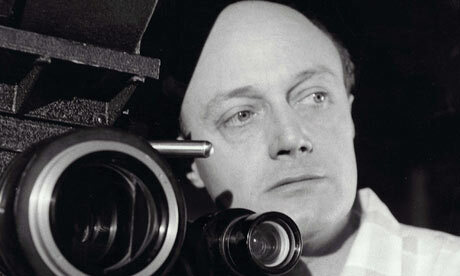 He worked with several international directors including Danish master Carl Theodor Dreyer and British director Anthony Asquith. However, his most endearing and remembered artistic partnership was with Bergman from 1948 to 1960. The fruits of Bergman and Fischer’s collaborations include such films as Harbor City, Smiles of a Summer Night, The Seventh Seal, Wild Strawberries, The Magician and their final collaboration, The Devil’s Eye. Like many fellow Swedish cinematographers of the era, Fischer was a master of practical lighting and operated his own camera on all his films. Such classic images as Max von Sydow playing chess with Death or the wide dancing chain on the hill side from The Seventh Seal still move and touch viewers of all generations. Bergman and Fischer went their separate ways after The Devil’s Eye in 1960. Bergman went on to form another strong artistic partnership with cinematographer Sven Nykvist which lasted through almost the rest of the director’s professional career. 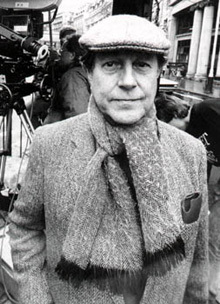 Fischer continued shooting feature films until 1979 when he retired. 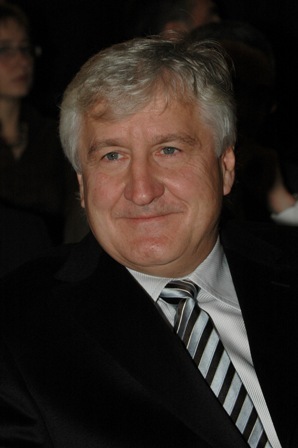 In retirement, he continued to be close to his craft by serving as an instructor of cinematography at several prestigious Scandinavian universities. Is cinematography a dying craft? No, not yet. However, I am greatly concerned by certain trends that seem to be taking place in the current market and, no, I don’t think it is solely due to the evolution of digital cinematography (though this plays a hand). It is no new development that making motion pictures is a business and, like all businesses, to be successful one must make a profit. 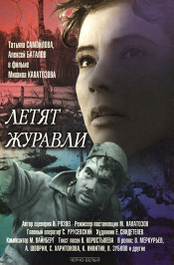 In days past, a production generally had one of two options in regards to the camera department: a 35mm motion picture film camera or a 16mm motion picture film camera. Yes, there are lots of shapes and sizes from a fully outfitted Panavision Platinum all the way down to a modded Bolex H-16; the quality, however, between one 35mm to another and one 16mm to another with proper lenses is not drastic. It was almost always generally assumed that the camera itself, whatever the make and model, would be rented as most Directors of Photography didn’t own a package and the Director of Photography himself would be chosen because of his technical and creative ability in forming an image, not in what gear he could bring to the production to help lower rental costs. Today’s market, with the prominence of digital cameras in the production of motion pictures, makes things decidedly different. Hi-Definition and Digital Cinema cameras come in an array of shapes and sizes as well, but also a plethora of sensor sizes, recording codecs and image capturing capabilities. This is not necessarily a bad thing, it’s always nice to have many options available for all sizes of budgets. However, the problem arises in the fact that producers don’t really know that much about cameras. Their main concern is the bottom line in the budget and to them, “We’ll shoot digital” means that any of the above cameras are fine, right? Canon 7d is just as good as the ARRI Alexa, isn’t it? I mean the one is just a little more flashy, but the image quality can’t make a $1,000 a day difference, can it? Well, yeah it can. Furthermore, there seems to be a growing trend that producers don’t want to actually rent a camera package anymore; they want a DP with a package (and lots of times one with lights and grip equipment as well). 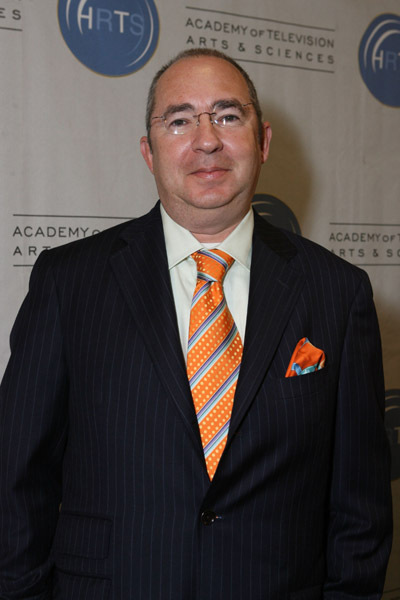 So, what does this mean for cinematographers? Well, it means that the best person is no longer getting picked for jobs. The Director of Photography who is hired is the one who has the nicest camera package and the cheapest day rate. This leads to many subpar cameramen being the busiest and making the best livings, while excellent DPs are struggling to keep food on the table. Of course, not everyone who owns a package is not “the best” person for the job; many people with great packages are excellent. The decision of who shall or shall not shoot the film, however, should not be dictated by package. Believe me, in the end, your film will have a much better chance at being profitable by hiring a proficient DP and supplying said DP with the equipment needed to capture the essence of the story visually. In short, quality into a production usually means quality out of a production. I’m not sure how prominent this phenomenon is on larger productions, but I have a feeling many cinematographers on lower budget productions will agree that this is a common occurrence and, obviously, not everyone has $40,000-70,000 to invest in camera and lighting gear. Even if they do, most lower budget productions aren’t union and the day rate is not enough to keep up the package, insurance and provide for yourself or a family. Where do most of the DPs on larger budget productions come? They come from these lower budget productions that do well at festivals. Sure, if some of these DPs who own great packages aren’t great to begin with, they may evolve just from constant practice and opportunity to work. Yet, what becomes of the guys who don’t own large packages who have great eyes and can make beautiful, fitting images? It’s no longer a common (or necessarily viable) alternative to start as a 2nd AC and work your way up to being a Director of Photography, at least if you would like to be shooting or operating films before you are 40. Most of these cinematographers either end up working on below par projects just to make a living, leaving the field entirely for something more profitable or struggling from job to job trying to get the productions they can on their merit alone. I think it’s a terrible trend in the industry and producers need to realize that the camera/lighting department is not the best department to try to save money on. This is the department that produces your image on screen and what’s the first thing that everyone will comment on after seeing a film? Whether it looked good or not.